A Young Boy is Lost in the Mall...and the Clock is TickingSomeone is trying to kidnap children from the local mall. So when ten year old Mark Albright wanders away from his older brother at the mall and disappears, many expect the worst.Who was the old, bearded man in the grubby clothes who was last seen talking with Mark?It soon becomes clear that it is up to Jason Albright, CEO of Bright Idea (computer and networking systems powerhouse), to save his son's life.Just when all hope seems to be lost, Jason encounters a strange man with a powerful story to tell, a story that provides the key that he needs to save his son. But is there still time? Is he willing to pay the price?Can Jason move through the pain of his past, reclaim the fiery faith of his youth, and learn to rely on a power far greater than his own...the power of the love of the father to save his son?Love of the Father is a captivating story of enduring faith, unwavering hope, and the special bond of love that can exist between a father and son.The Author... New to the literary world with Love of the Father being his first novel to publish but surely not his last. Through the experiences of his life, being very difficult at times, David has lived with the Love of the Father and His direction. 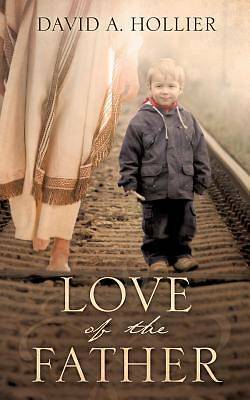 His personal journey has equipped this author to write these great works.David, his wife Charlotte and their son Jason continue to live their life serving the Lord and His people.